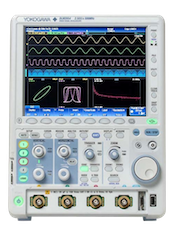 The IEC Harmonic analysis on the DL/DLM series oscilloscopes provides a rough analysis and estimation for harmonic testing. 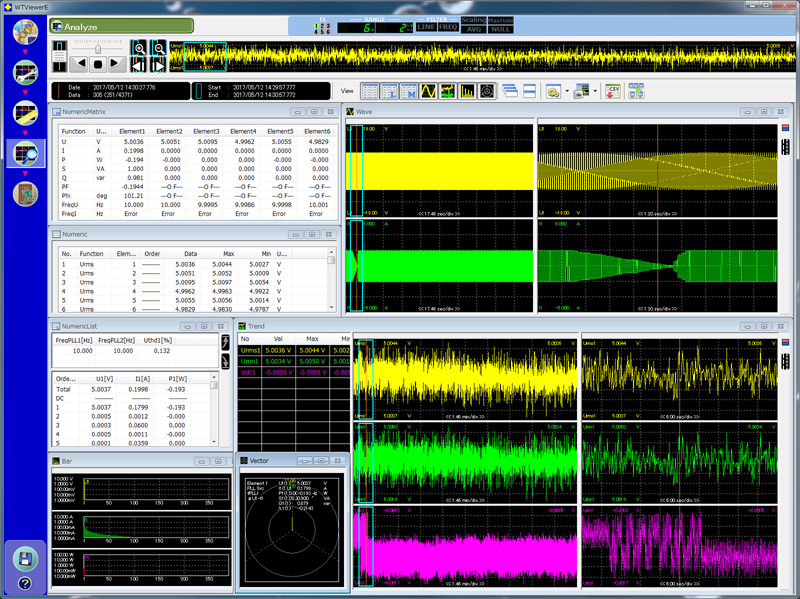 The scope will perform an FFT on the current waveform and can be used to measure the general characteristics of harmonics. If you are required to make IEC harmonic measurements as defined by the IEC61000-4-7 standard, it is highly recommended you use the WT3000 with the Harmonic Analysis Software. The IEC61000-4-7 contains strict requirements on the types of instruments and test methods that can be used. One example is the FFT window width for harmonic test must be 10 cycles (e.g. ), the data should be acquired by the period of every 200 ms continuously, and no gap is permitted. 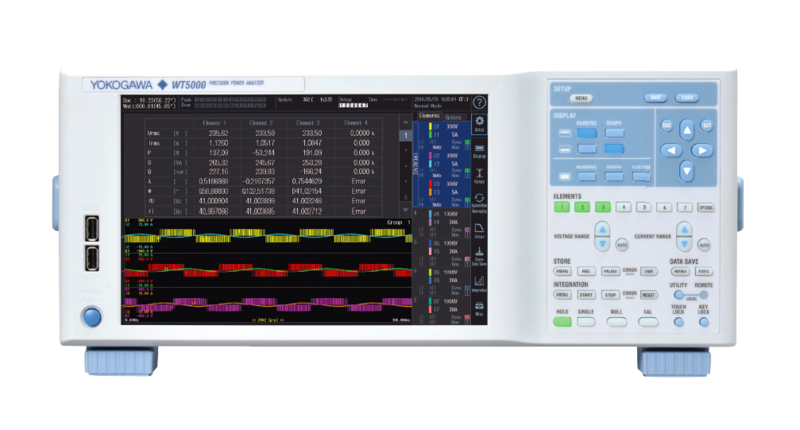 The WT3000 with Harmonic Analysis Software 761922 will satisfy this requirement completely, but the DL/DLM series oscilloscopes with current probe cannot. It is also important to use a power supply with very low noise and high accuracy. You cannot use a general commercial power supply or a low quality power supply for the harmonics test, because those power supplies may include the harmonics in their own waveforms.